Best range promotion: Partnered with Callaway Golf to intro Epic line of products with Callaway committing personnel and resources to fit and service club fitting appointments. Our customers enjoyed special experience with company representatives and we sold several pieces beyond expectations. Very successful promotion-win/win/win customer/Stadium/vendor. Special programs: Our 22 year anniversary upcoming-we give back because it’s the right thing to do! We continue to donate hundreds of faciilty use vouchers to all those that reach out to us for raffle prizes to facilitate their fundraising efforts for a variety of great causes. 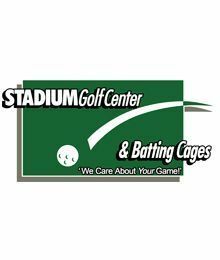 We provide free and deeply discounted facility use to the men/ladies teams at San Diego State, University of San Diego, thirteen boys and girls high school team programs, local baseball Little League and fast and slow pitch Softball districts, First Tee Pro Kids Golf Academy program, San Diego Junior Golf Association, SCGA Youth on Course, Community Coaching Center for Autism, San Diego County Special Olympics, Local Chapter Wounded Warriors Project, The San Diego Police Officers Association, Adaptive Golf Clients (Stroke/Cancer recovery patients) through Alvarado Hospital and Rehabilitation Institute, and ALL Active Duty Military personnel and their families.